New Year's resolutions. Some people love them, some people hate them...actually a lot of people I know hate them. So in an attempt to step outside the usual (boring), "lose weight" and "de-clutter," here is a list of books to get you thinking a little deeper about your goals for this most-promising, new year. As a high school student, Ed Viesturs read and was captivated by the French climber Maurice Herzog's famous and grisly account of the first ascent of Annapurna in 1950. When he began his own campaign to climb the world's 14 highest peaks in the late 1980s, Viesturs looked forward with trepidation to undertaking Annapurna himself. 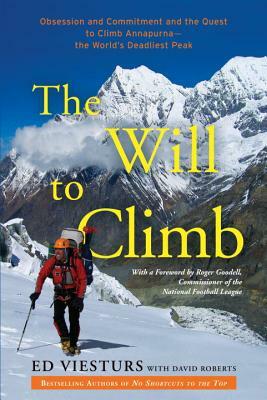 Two failures to summit in 2000 and 2002 made Annapurna his nemesis. In The Will to Climb Viesturs and co-author David Roberts bring the extraordinary challenges of Annapurna to vivid life through edge-of-your-seat accounts of the greatest climbs in the mountain’s history, and of his own failed attempts and eventual success. The captivating story of an ordinary bartender turned humanitarian who’s changing the world through clean water. 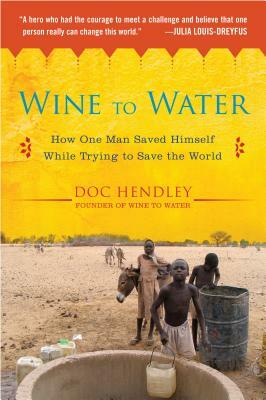 Doc Hendley never set out to be a hero. A small-town bartender, Doc loved his Harley, music, and booze. Then he learned about the world’s water crisis, and decided to help by hosting fundraisers. 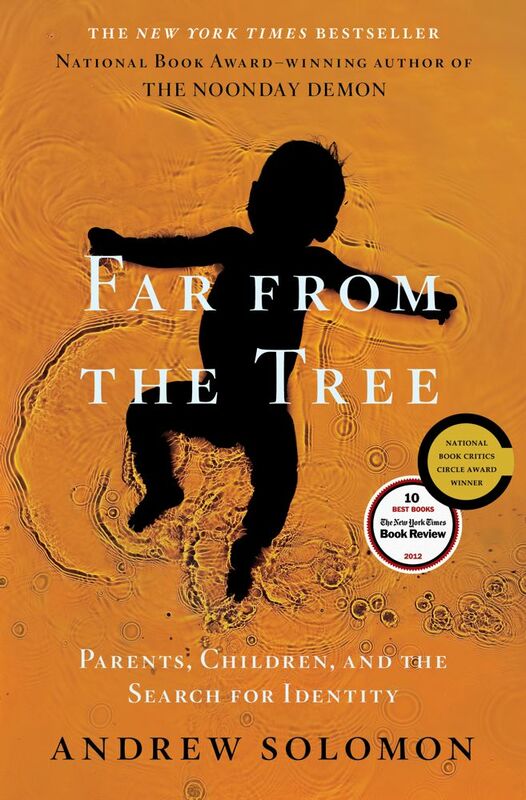 But he wanted to do more and soon found himself traveling to one of the world’s most dangerous hot spots: Darfur, Sudan. In All There Is, StoryCorps founder David Isay shares stories from the revolutionary oral history project, revealing the many remarkable journeys that relationships can take. 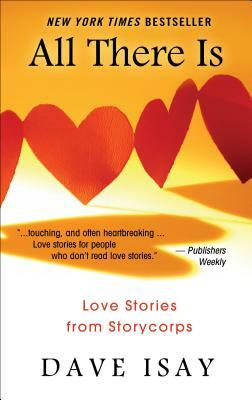 In these pages we discover that love is found in unexpected places: a New York tollbooth, a military base in Iraq, an airport lounge. We encounter love that survives discrimination, illness, poverty, distance—even death. Carrying us from the excitement and anticipation of courtship to the deep connection of lifelong commitment, All There Is enriches our understanding of love and of the resilience of the human spirit. From modest beginnings as a tea shop, the Great Atlantic & Pacific Tea Company became the largest retailer in the world. It was a juggernaut, with nearly sixteen thousand stores. But its explosive growth made it a mortal threat to mom-and-pop grocery stores across the nation. Main Street fought back tooth and nail, leading the Hoover, Roosevelt, and Truman administrations to investigate the Great A&P. In a remarkable court case, the government pressed criminal charges against the company for selling food too cheaply—and won. 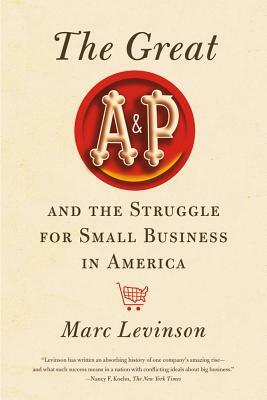 In The Great A&P and the Struggle for Small Business in America, the acclaimed historian Marc Levinson tells the story of a struggle between small business and big business that tore America apart. George and John Hartford took over their father’s business and reshaped it again and again, turning it into a vertically integrated behemoth that paved the way for every big-box retailer to come. George demanded a rock-solid balance sheet; John was the marketer-entrepreneur who led A&P through seven decades of rapid changes. Together, they set the stage for the modern consumer economy by turning an archaic retail industry into a highly efficient system for distributing food at low cost. Pow! is a comic masterpiece. In this bizarre romp through the Chinese countryside, the author treats us to a cornucopia of cooked animal flesh—ostrich, camel, donkey, dog, as well as the more common varieties. As his dual narratives merge and feather into one another, each informing and illuminating the other, Mo probes the character and lifestyle of modern China. Displaying his many talents, as fabulist, storyteller, scatologist, master of allusion and cliché, and more, Pow! carries the reader along quickly, hungrily, and giddily, up until its surprising dénouement. 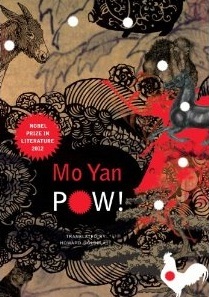 Mo Yan has been called one of the great novelists of modern Chinese literature and the New York Times Book Review has hailed his work as harsh and gritty, raunchy and funny. He writes big, sometimes mystifying, sometimes infuriating, but always entertaining novels—and Pow! is no exception. “If China has a Kafka, it may be Mo Yan. Like Kafka, Mo Yan has the ability to examine his society through a variety of lenses, creating fanciful, Metamorphosis-like transformations or evoking the numbing bureaucracy and casual cruelty of modern governments. Whether you’re deciding which smartphone to purchase or which politician to believe, you think you are a rational being whose every decision is based on cool, detached logic. But here’s the truth: You are not so smart. You’re just as deluded as the rest of us—but that’s okay, because being deluded is part of being human. Growing out of David McRaney’s popular blog, You Are Not So Smart reveals that every decision we make, every thought we contemplate, and every emotion we feel comes with a story we tell ourselves to explain them. But often these stories aren’t true. Each short chapter—covering topics such as Learned Helplessness, Selling Out, and the Illusion of Transparency—is like a psychology course with all the boring parts taken out. 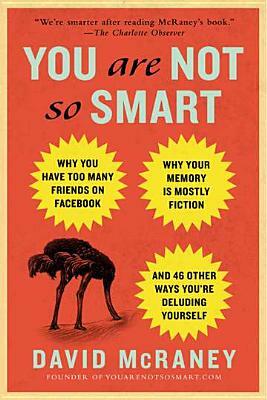 Bringing together popular science and psychology with humor and wit, You Are Not So Smart is a celebration of our irrational, thoroughly human behavior.